Carmaleda “Carmie” Sayre, age 76, passed away on Friday, August 24,2018 at 4:50am at Lima Memorial Hospital. Dennis Sayre on November 21, 1969 and he passed away on March 29, 2015. Carmie is survived by 3 children: Denise (James) Robertson of McGuffey, Ohio, David Sayre, and Doug (Joy) Sayre, both of Upper Sandusky. Along with 4 grandchildren: Shileigh Robertson, Dylan (Brooke) Robertson, Gabriel Sayre and Grace Sayre, and a great granddaughter, Etta. She is also survived by a brother Ray (Diane) Smith of Harpster, 3 sisters, Anna Patchett of Upper Sandusky, Sarah Hough of Harpster, and Stella Schoenberger of Lima. 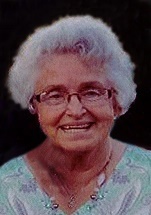 Carmie was a homemaker and worked at the former Westinghouse/AO Smith, and then as a nurse’s aide for many years serving all of the nursing homes in Upper Sandusky, along with doing private nursing care. She was a woman of faith and worshipped her entire life in the Nazarene church. For hobbies, she enjoyed doing jigsaw and word search puzzles, Ohio State football, and her dog Jessie. Her greatest love was her family, especially spending time with her grandchildren. She will be greatly missed. Graveside services for Carmie Sayre are 11:30 Tuesday, August 28, 2018 at the Little Sandusky Cemetery, with Chaplain Dave Stanford officiating. on Tuesday in the reception room of Lucas-Batton Funeral Home in Upper Sandusky, where lunch will be served. Memorial Hospital and can be sent to Lucas-Batton Funeral Home, 476 S. Sandusky Ave. Upper Sandusky, Ohio 43351. Online condolences can be sent to www.lucasbatton.com.